When you’re in the business of helping people achieve the skin they’ve always dreamed of, you’re always looking out for the next big thing. And guess what? 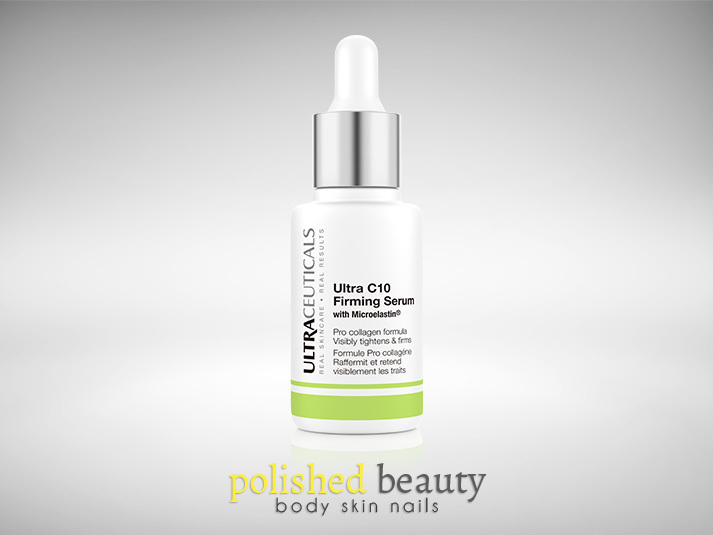 We’ve thrilled to admit we’ve found it in the new Ultraceuticals Ultra B2 Micellar Solution. Keep reading if you’re ready to completely revolutionise your cleansing routine. Many of our clients reportedly only cleanse their skin once a day and find that the process takes little more than a few seconds. As professional skincare technicians, we know that in order to maintain maximum skin health, cleansing should be undertaken once in the morning and twice at night. Our skin is constantly exposed to environmental pollutants, waterproof make-up and our own natural sebum. By the end of the day, these impurities come together to form a waxy layer of dirt that isn’t easily removed by a quick cleanse and can create a barrier that reduces the effectiveness of our nightly skincare products. That’s where the Ultra B2 Micellar Solution comes in. 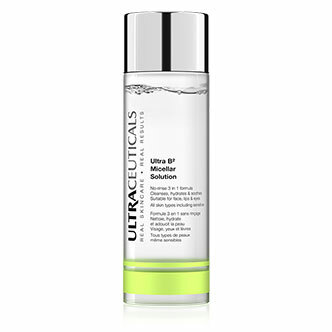 What is the Ultra B2 Micellar Solution? The Ultra B2 Micellar Solution is an innovative, no-rinse cleanser. This paraben and alcohol free solution works to gently cleanse and remove dirt, impurities and excess sebum from the skin. The product also effectively removes traces of make-up from the face, lips and eyes without stripping your skin of its natural oils. Vitamin B3 and Provitamin B5 assist in hydrating, while cucumber extract luxuriously revitalises and soothes the skin. How does the Ultra B2 Micellar Solution work? The Ultra B2 Micellar Solution differs from your usual cleansing products, as it contains a lower concentration of cleansing molecules than other cleansers, making it significantly gentler on your skin. When applied to the skin, the cleansing, micelles attach themselves to the dirt and oil sitting atop the skin, carefully removing them without stripping the skin. The product offers more than just a simple cleanse: the addition of B5 vitamin keeps the skin moisturised, while B3 strengthens the skin’s natural lipid barrier function. Using the Ultra B2 Micellar Solution is simple. After removing any waterproof eye makeup with the Ultra Soothing Eye Make-Up Remover, apply a coin-sized amount of the B2 Micellar Solution to a dampened cotton disc. Wipe it gently over your face, including the lip and eye area (a testament to how gentle the solution is!). This will help you remove the top, waxy layer of dirt and sebum from your skin. For your morning cleanse, this is all you need. In the evening, apply the Ultra B2 Micellar Solution again to strip away the day’s impurities and make-up traces. If you’ve got sensitive skin, use it for a double cleanse. The first PM cleanse prepared the skin for the second, deeper cleansing you’re about to give it. 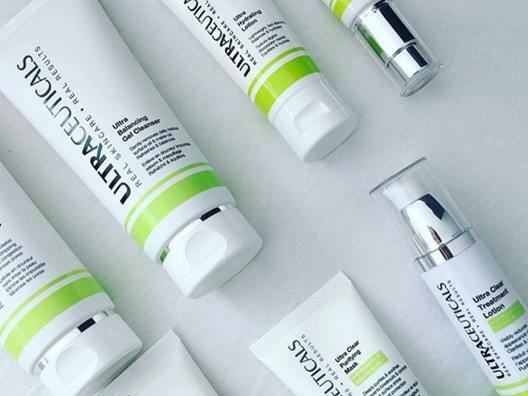 If you’ve got any other skin type, cleanse first using the Ultra B2 Micellar Solution, then switch to your prescribed Ultraceuticals Cleanser (if you don’t have a prescribed cleanser, a skin consultation would be beneficial for you). While not quite as gentle as the B2 Micellar cleanser, this product more deeply penetrates the skin for an effective clean. Pair the Ultra B2 Hydrating Serum and the Ultra Red-Action Moisturiser with the Ultra B2 Micellar Solution for a skincare routine that works in perfect synergy. Is the Ultra B2 Micellar Solution right for my skin type? Absolutely! That’s the beauty of this cosmeceutical grade cleanser – it works fabulously with all skin types, from dry to oil prone. It’s particularly effective on sensitive skin that may react with irritation when using harsher cleansers. Regardless of skin type, a few uses will eliminate dryness and dehydration, giving way to hydrated, revitalised skin. To find out exactly how to incorporate the Ultra B2 Micellar Solution into your personalised cleansing routine, book yourself in for a full skin consultation with one of our experienced skincare technicians. Your skin will thank you for it.